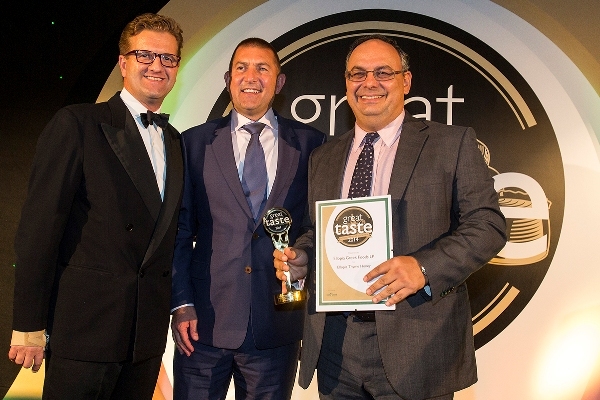 Our consistent dedication to quality and high production standards has been rewarded by winning prizes for two consecutive years at the Great Taste Awards. Our proudest moment was when our Ellopia Wild Thyme Honey from the Greek islands was named Ambient Product of the Year 2014 at the 2014 Great Taste Awards, standing out from thousands of other food products. Out of the 10,000 products that entered into Great Taste in 2014, only 153, including our wild thyme honey, have been awarded 3 stars. A panel of supremely talented judges re-judged and tasted yet again the 3-star winners to finally agree on the 2014 Top 50 Foods. Out of those Top 50 Foods, the major winners in each category are awarded a Golden Fork Award. 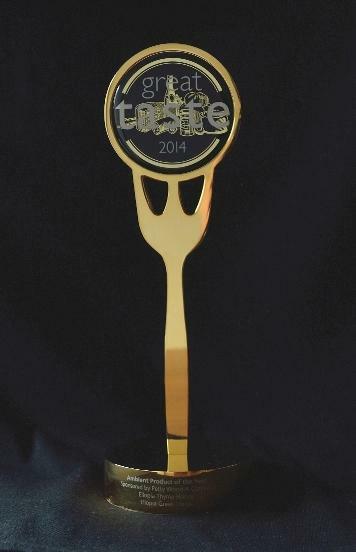 We are honoured that our Wild Thyme Honey was awarded the Golden Fork for Ambient Product of 2014. ….“This lovely honey has a deep golden colour and a wonderful intense thyme flavour”. “Glorious amber colour and viscous texture. Tere are intense floral notes and the aroma and flavour of thyme come through beautifully (…). A truly delicious honey”. In the following year, our Autumn Heather Honey distinguished itself at the international Great Taste Awards 2015, winning a Gold Star. Ellopia Thyme Honey being awarded the Golden Fork for Ambient Product of the Year 2014 at the Golden Fork Awards Dinner. Mr. Katepodis, First Counsellor (Economic and Commercial Affairs) of the Greek Embassy in London, received the prize on behalf of Ellopia Greek Foods.